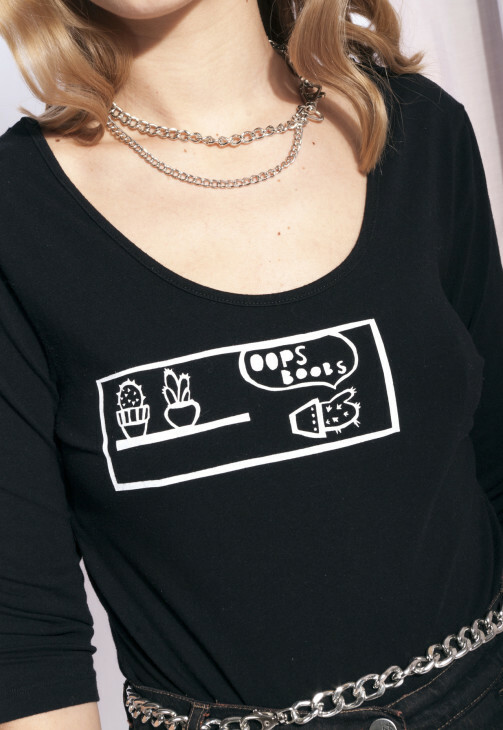 Black bodysuit straight from the shiny 90s that we revintaged a bit by adding our screen printed cacti graphics. Closes with snap fasteners at the bottom and comes in really great condition. Made of natural fabric. Don’t hesitate, grab it! 106 cm / 3' 5"
69 cm / 2' 2"